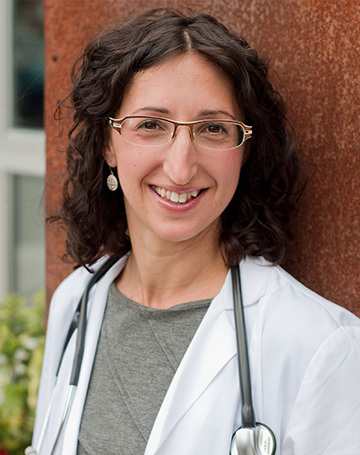 Dr. Sara Kates-Chinoy is a graduate of the National College of Natural Medicine. Dr. Kates-Chinoy treats both acute and chronic disease. She commonly sees patients with: digestive disorders including nausea, IBS and SIBO; neurological symptoms including migraine headaches, seizures, bipolar disorder, anxiety and autism spectrum disorders; autoimmune or endocrine dysfunction; women’s health and cervical dysplasia; hormonal imbalance; anxiety. She enjoys treating children with ADHD and behavioral challenges. To schedule an appointment with Dr. Kates-Chinoy click here. Dr. Kates-Chinoy has received additional training in a prestigious post-doctorate residency program specializing in weight loss, women’s health, acute care, and pediatrics. She has completed an additional residency as a clinical education professor at the National College of Natural Medicine. She is a writing contributor to the Foundations Textbook Project, the first naturopathic medical textbook widely available. Dr. Kates-Chinoy believes in the power of individualized medical care. As a co-founder of Grain Integrative Health, Dr. Kates-Chinoy is dedicated to the sustainable evolution of the current healthcare system. She enjoys working in the collaborative environment of Grain Integrative Health. Dr. Kates-Chinoy uses food intolerance assessment, nutritional and pharmaceutical therapies, biotherapeutic drainage, botanical medicine, advanced hydrotherapy, medical qi gong, homeopathy and structural balancing to remove obstacles to healing and enable the body’s inner strength. Dr. Kates-Chinoy grew up in Maine, in a family with a passion for political action for social justice. She continues to support social change for a healthier future, and her interests include music, ultimate frisbee, organic gardening and competitive sports. She is a graduate of Swarthmore College, where she studied comparative religion and cognitive science.